The LOL Party game was a friend’s idea that I decided to make into an actual game. With 2-8 players, you have to quickly come up with funny words to fill in the blanks in a story, using the given letter(s). Challenge friends to see who can make the funniest statement and see who is scientifically and undeniably the funniest person on planet earth! (...at your party). Turn on either 'drinking' or 'silly' forfeits to really turn up the pressure! You can play on any device now. If playing on mobile, you may need to use a decent browser, such as Chrome. 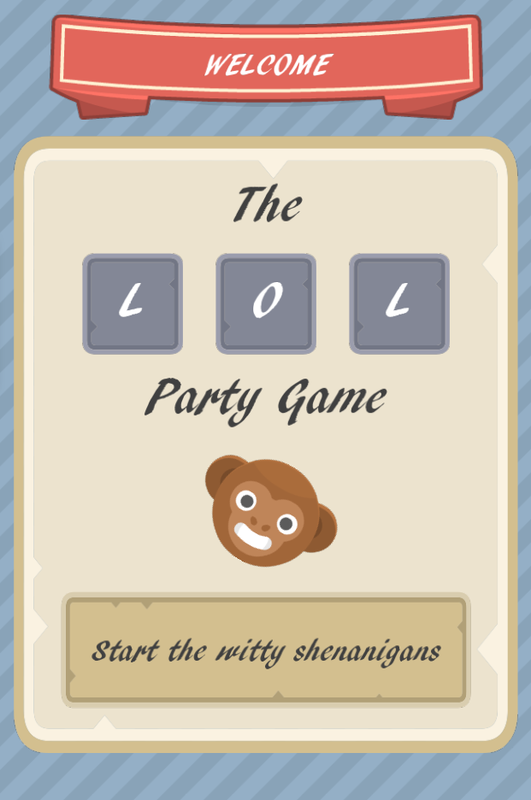 The LOL Party Game was programmed and developed by me, Michael Bateman. Graphics are pretty much all from kenney.nl. The idea for the game came from Sean Suther-Grady and was evolved by both of us as development progressed.